Pound Melters has been helping people to lose weight for almost 25 years. In that time, we have had 350,000 patient visits our clinics. We have seen just about everything there is to see when it comes to helping people lose weight. With 2 visits at Pound Melters, you have a 98% chance of losing weight! It means we keep it simple! Low prices. No joining fees. We don’t get too fancy or gimmicky when it comes to losing weight. We don’t sell foods. We don’t jump on the bandwagon of the latest “lose weight fast” scheme, and we don’t force our patients to alter their lifestyles in dramatic ways. None of these work over the long term and that’s what we are interested in – long term health through realistic weight management. There really is no great secret or gimmick. We help you change your diet and exercise incrementally in a way that works for you. In other words, we “keep it real.” To help in this process we use prescription weight loss medications that have been on the market for over 60 years and have a proven safety track record. It helps suppress your appetite and as a result makes small changes to your diet easier. We find that once a person has success in changing their diet, they feel confident and then will make other changes, such as finding a way to exercise, and eat even healthier. It’s a cascade of positive changes that we see happen over and over with our patients. Once you achieve your target weight, be it 15 pounds, 50 pounds or more then you can take your new habits and go on with your life. If the weight starts to creep back up just come back for a few months to get back on track! We keep our prices low and our program simple to make it easy for you to stay on track. Many of our staff have been on the program. So, we love what we do, and we are very excited to help! The doctor or nurse practitioner will take your medical history and do a brief physical. He or she will explain the program in detail and let you know if you are a candidate for the program. If you can’t join for any reason, you won’t be charged for the physical. What happens when I enter the program? One of our providers will discuss diet, exercise and the use of our prescription appetite suppressants. Then you and the provider will create some realistic weight loss goals and a plan to achieve them. You will receive a 28 day supply of medication. At the end of each appointment, you will receive a reminder card of when your medication will run out. After your first visit, you do not need to make an appointment as we have drop-in hours for all our patients. You are not required to but you can come in as often as you would like to be weighed and measured, or just talk about your progress with a practitioner at no extra charge. If you follow the program you should be able to achieve your weight loss goals. Our program consists of following a simple low-fat diet, low carb diet, moderate exercise, portion control and the use of prescription appetite suppressants. Read our Low Carb Low Fat Diet Guidelines. What prescription medication is used in the program? We use prescription appetite suppressants. On your first visit, the doctor or nurse practitioner will discuss the medications and decide which, if any will be the best one for you. Weight loss varies per person. On average 1-2 pounds per week can be expected. How is the Pound Melters program different from other programs available? Our program is medically supervised. We have Doctors and Nurse Practitioners that follow your weight loss and provide you with individual treatment. Is it expensive? Do I have to buy any special foods? We don’t require you to buy food products of any kind or enroll under contract. We make every effort to keep our program affordable. What happens if I need to lose more than 50 pounds? Can I continue in the medically supervised program to reach my weight loss goal? Yes, we are willing to work with you until you reach your desired goal or a healthy BMI. What is the medical supervision of the program? You are seen by a provider regularly for counseling and a brief physical exam where your weight, blood pressure and pulse are recorded. Usually every 4 weeks. Generally yes, you want to begin some form of regular aerobic exercise, at least 3-4 times a week for a minimum of ½ an hour. However, this varies depending on your medical history. Can I participate in the program if I am taking an anti-depressant? There are some anti-depressants that can be combined with our medications and our Doctor or Nurse Practitioner will be able to tell you if this is would be possible with your specific medication. Can I enter the program if I am taking other medications? After reviewing your complete medical history, our Provider can tell you if we are able to combine your medications with ours. If we are unable to treat you with our medications, you can still participate in the program with regular counseling and weigh-ins. volutpat. Request a call back. Talk to a weight loss professional today. 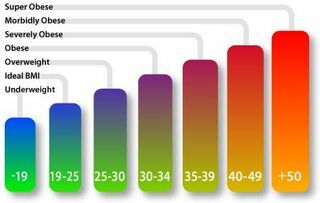 Find your Body Mass Index (BMI), a measure of body fat based on height and weight, using our BMI Calculator. 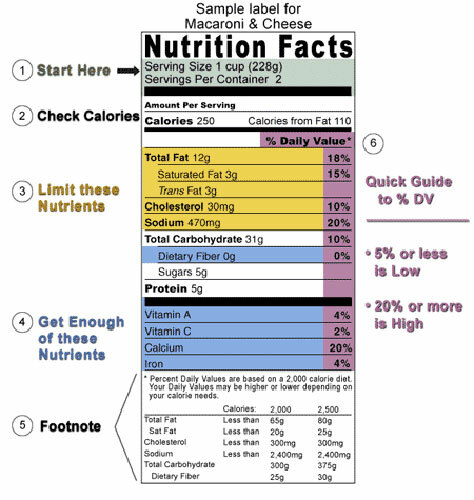 Learning how to read nutrition labels will help you maintain a healthy diet.